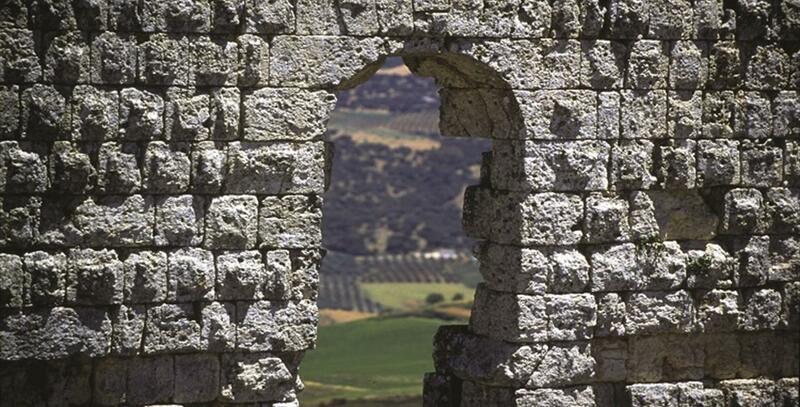 The yacimiento romano de Acinipo (Roman archaeological site of Acinipo) was traditionally and erroneously called Ronda la Vieja (Old Ronda) due to the belief that this was the first site of the city, a theory that was later proven false. It is 21 kilometres from Ronda on a plateau with an average altitude of 980 metres, and commands extremely broad panoramic views of the region. 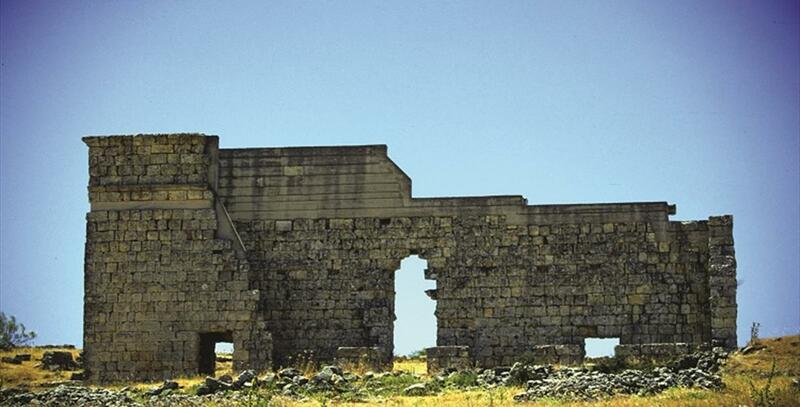 According to Pliny and Ptolemy, Acinipo belonged to Celtic Beturia but in Roman times it became one of the main cities of Betica. 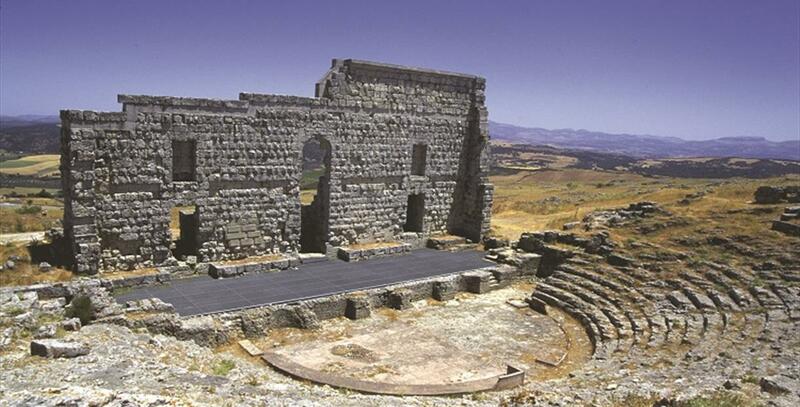 Only the theatre has been preserved from the ancient Roman city. It was built in the first century B. C. on uneven ground in the Greek fashion, which is why the cavea is carved out of the rock. A large part of the seating area is reasonably well preserved, which is also true for the orchestra and the front of the stage, which is made of building stone without mortar. 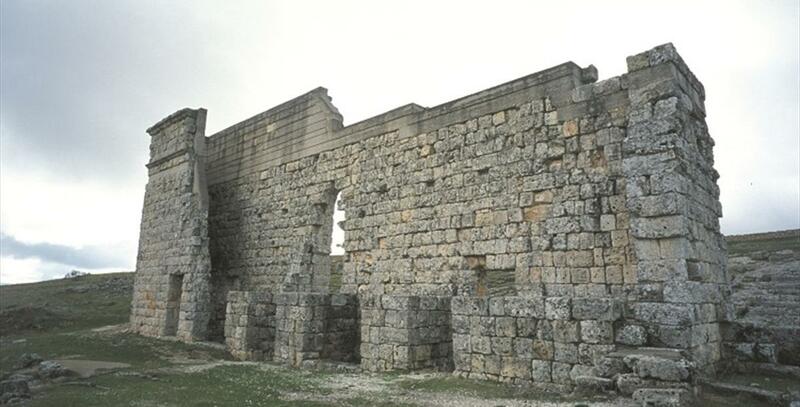 Ruins have also been found in some bathhouses, two dwellings, the official temple, the basilica and the porticos. This siteislocated 21km from the townofRonda.Access isviathe A-374that leaves fromround andmeets theMA-7402.